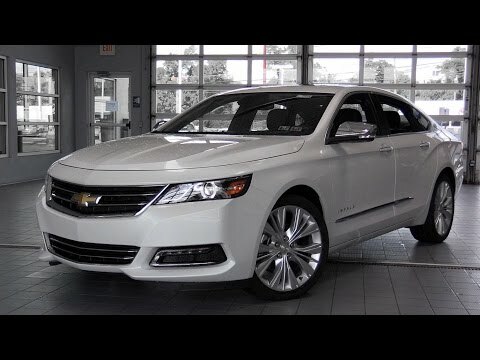 The 2017 Chevrolet Impala offers an impressive combination of spaciousness, comfort and value for families and individuals seeking a full-size sedan. Substantial yet stylish, the Impala still looks fresh from a recent revamp that transformed Chevy's biggest sedan from staid to a standout that easily rivals the Toyota Avalon. Love everything about my Chevy! This car has great performance in all weather conditions with the traction control and that it can be manually shifted if necessary great in winter conditions. I have had many Chevrolets with great reliability; part of that reliability comes from servicing that I have done at my dealership (lucky to have a great service department at my dealer) unless it is not possible. The car is extremely comfortable the seats are spacious and have great lumbar support which makes long hours spent in the car comfortable. All the new technology is absolutely great hands free use of the phone, on screen GPS, all of the uses of my cell phone paired with the car. Love the heated seats, controls on the steering wheel, and the warning systems. The passengers are very comfortable, too! Chevy has been in my life since 2008. Can't complain. I have 1 month with my new vehicle is a 2017 Chevy Impala. I could not afford the luxury one but the o e I have makes me very happy and Very secure with a family of 4 makes it right we watch TV a lot and the commercials that Chevy is number one and dependable it is very smooth to drive has phone connection, wifi, you can download apps its very help full if you have kids plus teenagers. Its a v6 so gas is not an issue as long as you can maintain it at the correct fluids and mileage. Planning to give it for daughter as soon as she graduates from high school. Chevy impala: the car I never knew I needed or would love. I have had no problems with my car as of yet. It drives absolutely amazing; smooth, handles bumpy roads well, and is super cozy on the inside. I love that I can connect my Bluetooth through the speakers. I can talk on the phone hands free. Not to mention, this car is ranked high in safety. I also love the secret compartment behind the display screen. At the touch of a button, it raises up to reveal a secret compartment to hide things from potential break ins. Last but not least, it came with a remote start. It comes in handy for those cold mornings. 2017 Chevrolet Impala Premier Review || The Standard for American Sedans!